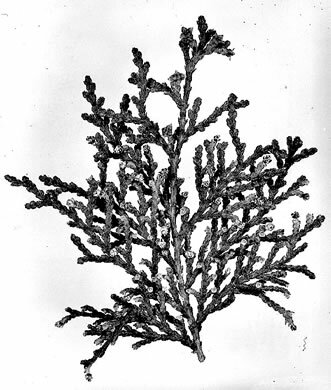 Branchlets flattened in vertical planes [T. occidentalis's are horizontal], per Weakley's Flora. 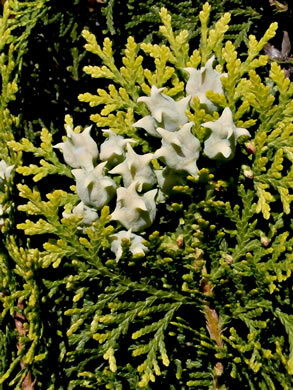 Cones roundish, egg-shaped, 3/4" long, fleshy, bluish before opening, per Manual of Woody Landscape Plants. 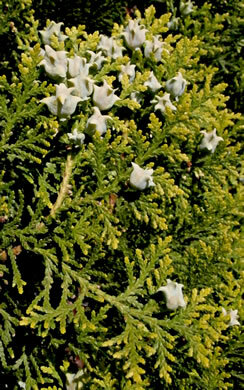 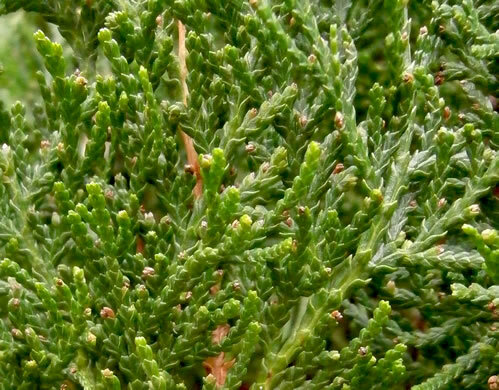 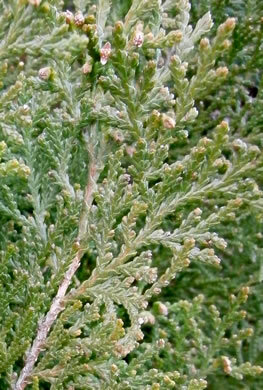 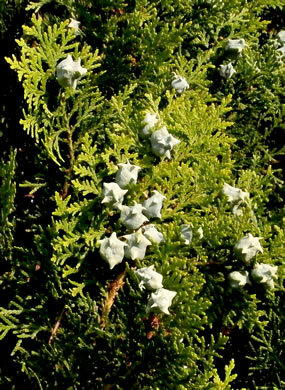 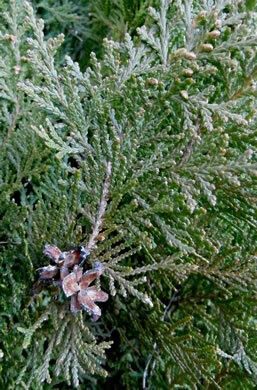 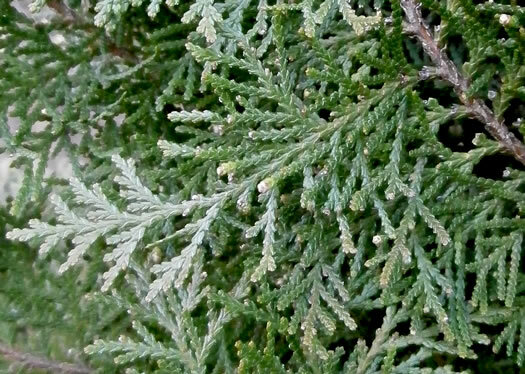 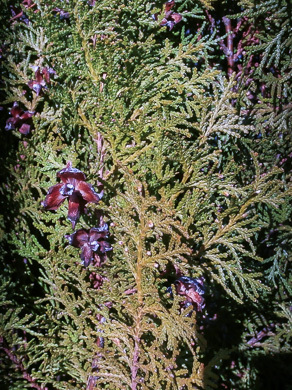 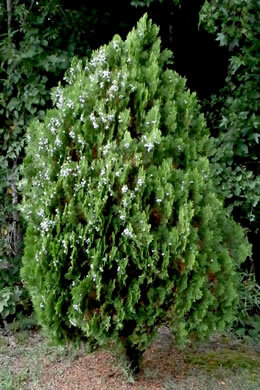 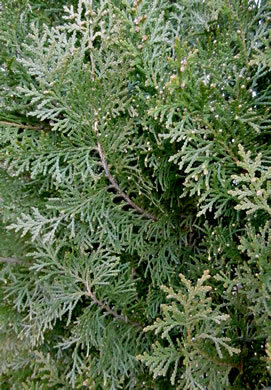 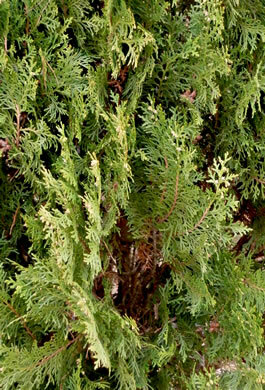 Leaves of Platycladus & Thuja are obtuse; leaves of Chamaecyparis are acute, per Weakley's Flora. 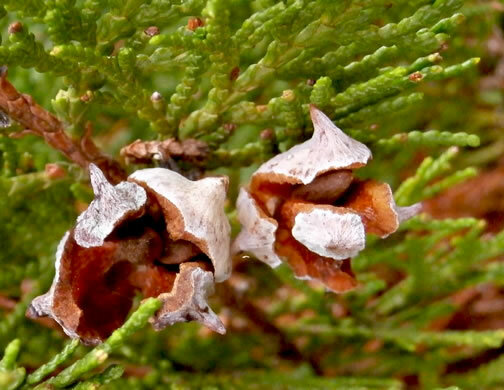 Each of the cone's six scales with a hornlike projection, per Manual of Woody Landscape Plants.